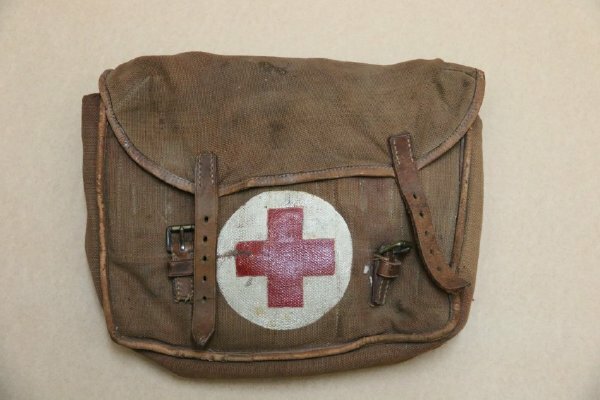 Description 1 x Red Cross canvas satchel, possibly World War 1. Has James A. Jacobsen Company, England, inside. Contents include bandages.